This historic district displays how Tucson developed residentially after the arrival of the railroad and can be viewed as Tucson’s first suburb. 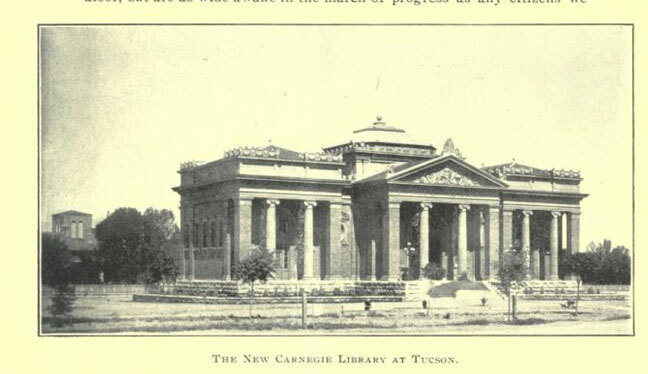 There are many detached Victorian homes with yards and imported landscape that related to where the original buyer called “home.” This tour will feature the other part of the district, the Carnegie Library, now Children’s Museum Tucson, and other landmark buildings on Scott Street. The architecture, layout, and landscape connect to the “City Beautiful” movement that was heavily influenced by the 1893 Columbian Exposition in Chicago. This exposition heralded the “modern world” with a revival of Beaux Arts architecture and the belief that cities should be beautiful places. The now vanished Camp Lowell, Armory Building, and the Santa Rita Hotel will also be discussed.